Europe is not bereft of train tracks. Indeed, train travel is a normal part of European life. Railroad tracks run from city to city and are important partners for traffic within larger cities as well. Trains in Europe are lighter, faster, and more comfortable than those found elsewhere in the world. European nations recognize the advantage of using train transportation over airplane and car transport. The environmental issues alone are beneficial to each nation as train travel produces less carbon emission than any other form of travel. With Europe’s inclination toward the use of train travel comes the building of luxury cars that attract customers and enhance the reputation of the train. European luxury train travel is the model for all train traffic. The cars are spacious with apartments for each family, couple, or single passenger. European luxury trains provide amenities unheard of in America where rail traffic is designed for one thing—to get there and back as quickly as possible while carrying the largest loads. To become a recognized luxury train in Europe takes some doing. The train must pander to the needs of the travelers, provide more comfort than other trains, and travel with the purpose of observation through various landscapes. 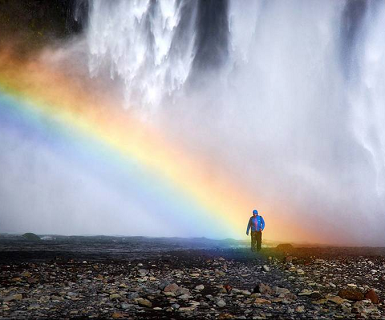 Europe has spectacular landscapes of variable nature. The most luxurious trains do not just pass through these landscapes, they witness them while providing the passenger with the ultimate of carefree comfort. 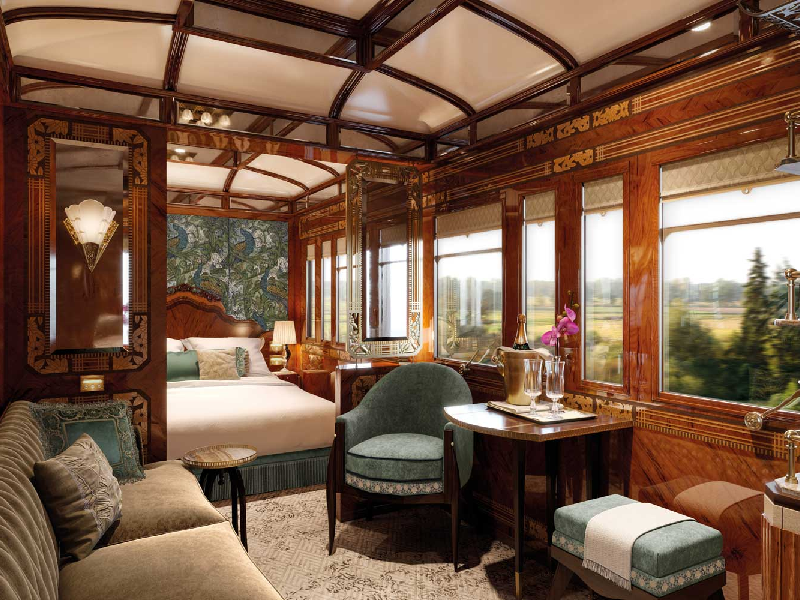 The Belmond Grand Hiberian is the only luxury train in Ireland. The train offers four journey options of various lengths of time and travel. Each trip features the coast of Ireland, the villages, the castles, and the ancient ruins of the old Celtic culture. The train is Irish. The two restaurant cars are decked out in Irish Tweed accented with Celtic motifs. Your beverages arrive in Waterford Crystal, and the food reflects the Irish culture. Each of the 20 cars features separate cabins that include a bathroom and shower. The furniture is heavy as you would expect in an Irish castle. An observation car provides a great view of the passing countryside. Stops along the way include visits to homes of famous literary greats that reflect the thought and mind of Ireland. Boarding in Dublin, passengers enjoy the pampering expected from a staff that serves Europe’s royalty. Ireland is called the Emerald Isle for a reason. Visitors who travel the Belmond Grand Hibernian learn this first hand through a visual and physical experience that will stick with them for the rest of their lives. Like the Orient Express and the Royal Scotsman, the Belmond Grand Hibernian is a trip through time on an elegant couch. Visiting Emily Bronte’s Scottish Highlands in luxury comes with an Edwardian flair. The Belmond Royal Scotsman consists of 20 wood-paneled cars. Along with traditional Edwardian style furniture, each car has a writing desk and a private bathroom and shower. Elegance permeates through the cars with filigreed chairs and hanging valances laced with gold fiber hovering over the handy reading lamps. An observation car lets passengers gaze wonderingly at the heaths, castles, and hillocks of Scotland while they ride in comfort. Several stops allow passengers to visit local breweries and tour castles along the east, north, and west coast of Scotland before returning to their original departure point in Edinburgh. The trip lasts for five days and nights. Meals are representative of the Scottish culture with an emphasis on fish, shellfish, and game. Cooked with the traditional herbs of Scotland, these meals introduce you to true Scottish cuisine. The train limits passenger population to a total of 36 and has a passenger/staff ratio of three-to-one which indicates the level of pampering each passenger receives along the journey. Agatha Christie wrote of this train in “Murder on the Orient Express.” Her descriptions of the train as a spectacular microcosm of Europe lent a romantic flair to her story. The Art Deco surroundings of the Orient Express served well as a counterpoint to the gruesome story. The train still evinces a former era of glamorous elegance as it travels through some of Europe’s most famous cites all the way from London to Paris. Then, moving on to Innsbruck and Verona before finally arriving a Venice. Though the cabins are small, they are comfortable. The cabins revert to the style of the 1920s and 1930s when royalty and the elite traveled this train. Mahogany washbasins and cabinets accent the rooms lined with tapestries suffused with light from the quaint window. Formally dressed waiters deliver your five-course dinner in the ornate dining car while discreet stewards change your cabin into a bedroom. To top your evening, a baby grand piano is manned by a professional pianist. The journey starts in a British Pullman car specifically designed to mimic those found in the Orient Express. To travel through the Eurotunnel, you and your luggage are transferred to a motor coach that connects with the Orient Express at Calais. The journey lasts through the day, the night and most of the following afternoon when you arrive in Venice. I never had much of an interest in travelling by train. Until now. These luxury trains really sound amazing. I visited Ireland about 10 years ago and unfortunately I didn’t hear about the Belmond Grand Hiberian then. I do plan on returning to Ireland at some point and when I do a trip on this train is definitely on my list of things to do. If you get a chance to ride on the Orient Express, grab it! What fun! The cabins are in fact small but like the post says, they’re restored to a 1930s look and feel and that outweighs the small size. All told it’s over 24 hours but the time really speeds by.